It was requested by the prime minister following concerns that they were outdated for the internet age. The review, led by Professor Ian Hargreaves, recommends legalising the practice of copying music and films. It also seeks to relax the rules around so-called transformative works - parodies or other reworkings of existing content. And it calls for the setting up of a new agency to mediate between those wanting to license music, film and other digital content and rights owners. Prof Hargreaves, of Cardiff University, said: "My recommendations set out how the intellectual property framework can promote innovation and economic growth in the UK economy. "They are designed to enhance the economic potential of the UK's creative industries and to ensure that the emergence of high technology businesses, especially smaller businesses, in other sectors are not impeded by our IP laws," he added. One of the key changes will be the recommendation to legalise format shifting for personal use - the copying of CDs or DVDs onto digital music players or computers. Although no individual has been prosecuted for ripping music, having an outdated legal framework has stifled some innovations, the report said. Some think the change is overdue. "Format shifting has been implemented in all European countries apart from the UK, the Republic of Ireland and Malta," said Susan Hall, media specialist at law firm Cobbetts LLP. "In today's world, this doesn't reflect consumer behaviour. The new regulations will allow more flexibility for consumers to enjoy content they have paid for in the way they want to," she added. Another big idea in the report is the creation of a Digital Copyright Exchange. It will be responsible for so-called orphaned works, content that does not have an identifiable author. The report recommends a "senior figure" be appointed to oversee its design by the end of next year. "The proposal will allow organisations, such as the BBC and British Film Institute, to use archive material that would previously not have been permitted to be shown because of doubt about ownership and will allow much freer creation of parodies, remixes and other spin-off works," said Ms Hall. She also welcomed the decision to relax the laws on parody. It will allow YouTube clips such as Newport State of Mind new breathing space, she said. The song performed by a Welsh rap duo became an internet hit when it replaced the Jay Z hit about New York with lyrics about Newport. 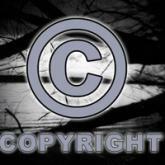 But it was taken down following a copyright claim by EMI. The creative industries will be heaving a collective sigh of relief that the review did not implement more radical reform. It has been referred to as the 'Google review', after the search giant claimed that it could never have been founded in the UK because of outdated copyright laws. While the Hargreaves panel accepted that US laws were friendlier towards innovation, it decided that it would not work in the UK because it would require copyright changes across Europe. Many of the reforms recommended in the report had already been suggested in the 2006 Gowers Review of Intellectual Property but never implemented.